Now that the symphony’s season is over, there’s no reason to despair! No, in fact, there are many reasons to be happy, for there are myriad opportunities to hear live classical music nearly all summer long here in Portland and surrounding areas. Starting in just a couple of weeks is the Astoria Music Festival (June 18 – 27), this year given over mostly to the mounting of a rare production of a chamber-sized version of Alban Berg’s crowning masterpiece, Wozzeck. Click here for more information. Chamber Music Northwest (June 21 – July 25) celebrates their 40th anniversary summer season, and they’ve pulled out many a stop to give their audiences a memorable summer. Of special interest is their inaugural Protegé Project, which features many up and coming young musicians who may well turn out to be the superstars of the future. Portland violinist Rebecca Anderson returns as part of this intriguing program. Find out about the entire season here. 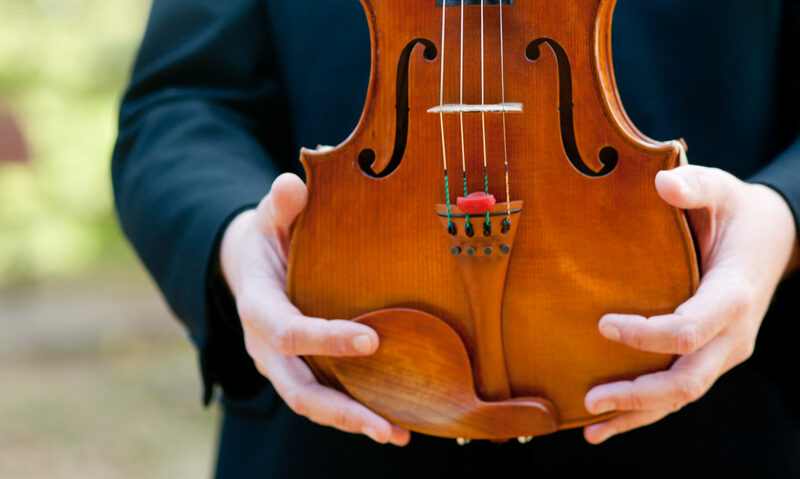 The Oregon Bach Festival (June 25 – July 11) is no longer confined just to Eugene, this year the festival expands not only to Portland for two concerts, but to the central Oregon city of Bend as well. The season opens with the Verdi Requiem, and closes with Mendelssohn’s Elijah in both Portland and Eugene. More info is available here. For keyboard aficionados, Portland Piano International (July 11 – 18) offers an array of recitals, lectures, master classes, and films all centered around the piano. There are always established artists and new discoveries represented at the festival, so it’s a great place to go and get your summer dose of pianistic prowess. Complete information may be found here. arts: cheap alternative in hard times? The image of the classical concert hall as a playground for the rich is planted deep in the cultural psyche. When Hollywood filmmakers set a scene at the symphony, twits in evening wear fill the frame, their jaws tight and their noses held high. The monocle returns to fashion for the first time since the death of Erich von Stroheim. One day, an intrepid art director will come to a concert and discover that the classical audience is well populated by schoolteachers, proofreaders, students, retirees, and others with no entry in the Social Register. They can afford to attend because classical events arenâ€™t nearly as expensive as most people assume, especially in comparison with the extravagant pricing schemes for Ã©lite pop acts. (Prince infamously charged more than three thousand dollars a seat for a series of shows in 2007; standing room was a mere three hundred.) The cheapest seats at the Metropolitan Opera are fifteen dollars, slightly more than the bleachers at Yankee Stadium. Chamber-music concerts at the Frick, the Met Museum, Tully Hall, and Bargemusic are in the twenty-to-fifty-dollar range; most new-music events go for ten to twenty. Concerts at churches and music schools are usually free. Students can get in to the New York Philharmonic for the price of a movie. The Metropolitan Opera’s productions of ThaÃ¯s (with RenÃ©e Fleming and Thomas Hampson) and Rondine (with Angela Gheorghiu and Roberto Alagna). An open rehearsal of the New York Philharmonic. Composer Gabriel Kahane performing his own works at a Greenwich Village club, Le Poisson Rouge. Juilliard musicians performing in the lobby of a downtown building. An organ prelude concert at St. Mary the Virgin. An ACJW chamber music concert in Brooklyn. Pianist Alon Goldstein at Town Hall. Grand total? $88.Â Not too shabby! They initially decided to try to make the program worse, which it seems they weren’t able to bring themselves to do, then they tried to make it better in terms of what they want to see in the concert hall, namely a mix of new and old in interesting combinations. It’s a good mental exercise, and one that could be made with any set of programs. Take a look at the upcoming OSO programs – is there one that has you scratching your head?Â How would you make it better and more interesting for you? Read Muhly’s entire entry here.